Dean Martin Scores First Billboard Hot 100 Entry in Nearly 50 Years With ‘Let It Snow’ | 2911 Enterprises, Inc.
BRANSON, Mo. – With the recent discussion of “Baby, It’s Cold Outside,” Deana Martin, daughter of iconic superstar Dean Martin, appeared and performed on cable television’s #1 morning show FOX & Friends (click here to watch) bringing awareness to her father’s legendary holiday albums and his rendition of the controversial song. Martin also performed “Let It Snow” during the live broadcast. 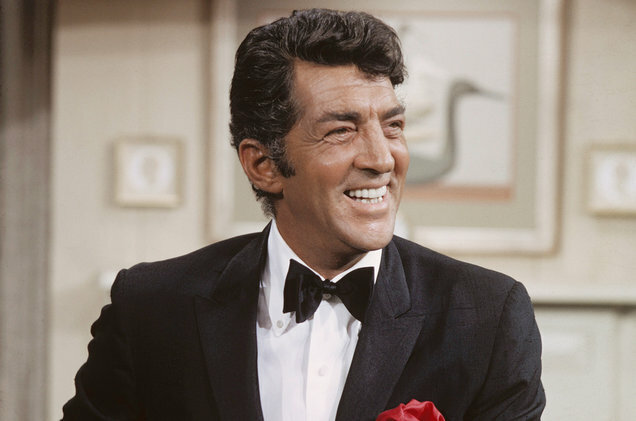 Now, the late legend Dean Martin returns to the Billboard Hot 100 chart (dated Dec. 15) after almost half a century, as his version of the seasonal standard “Let It Snow, Let It Snow, Let It Snow,” debuts at No. 41. He earns his first entry in 49 years, three months and 16 days. He had last appeared on the Hot 100 dated Aug. 30, 1969, with “I Take a Lot of Pride in What I Am,” which peaked at No. 75 in its last week. Still, Martin doesn’t break the record for the longest gap between Hot 100 entries. That distinction belongs to late jazz star Louis Prima, who, as featured on Kids See Ghosts’ “4th Dimension,” went 57 years, four months and 10 days between his previous Hot 100 hit, “Wonderland by Night,” in February 1961 and his return earlier this year on “Dimension,” on June 23. Original Rat Pack member Martin has a storied history on the Hot 100. Including “Snow,” he has earned 28 total entries, with his first 27 charting between 1958 (the Hot 100’s inaugural year) and 1969. He earned a trio of top 10s: “Everybody Loves Somebody” spent a week at No. 1 (Aug. 15, 1964); “The Door Is Still Open to My Heart” reached No. 6 (Nov. 14, 1964); and “I Will” hit No. 10 (Dec. 11, 1965). Fellow Rat Packer Frank Sinatra logged 43 Hot 100 entries, while Sammy Davis Jr. earned 10. On the Holiday 100 chart, which ranks holiday hits of all eras, “Snow” places at No. 9. Over on the Billboard 200, Martin’s The Dean Martin Christmas Album, which includes “Snow,” vaults from No. 102 to No. 72 with 13,000 equivalent album units (up 36 percent), according to Nielsen Music, earning him his highest-charting album in 11 years, since Forever Cool reached No. 39 in 2007. Plus, Christmas With Dino, which also houses “Snow,” re-enters at No. 156 (8,000, up 93 percent). Dean Martin died on Christmas Day 1995 at age 78 from acute respiratory failure.